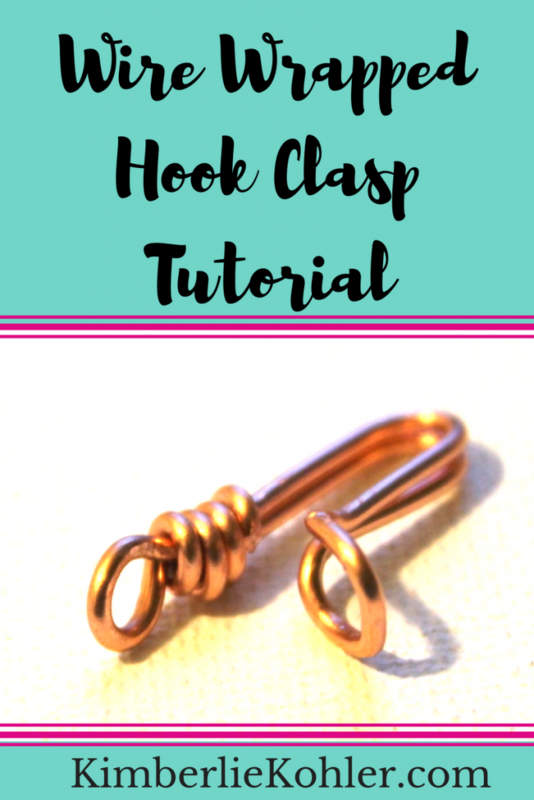 This hook clasp is relatively easy and inexpensive to create. 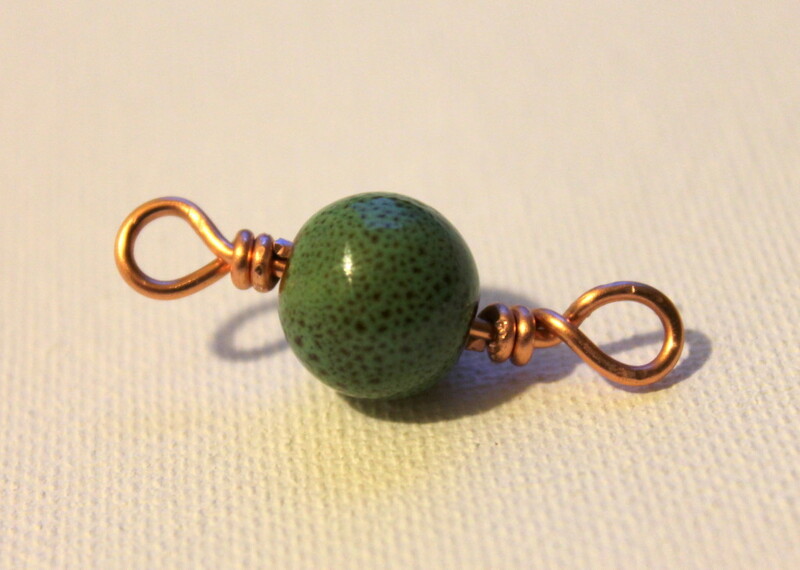 Use a heavy gauge wire for heavy beads or if your beads are lighter, you can use a lighter gauge. Don’t go too light because the shape won’t hold well. Wire. 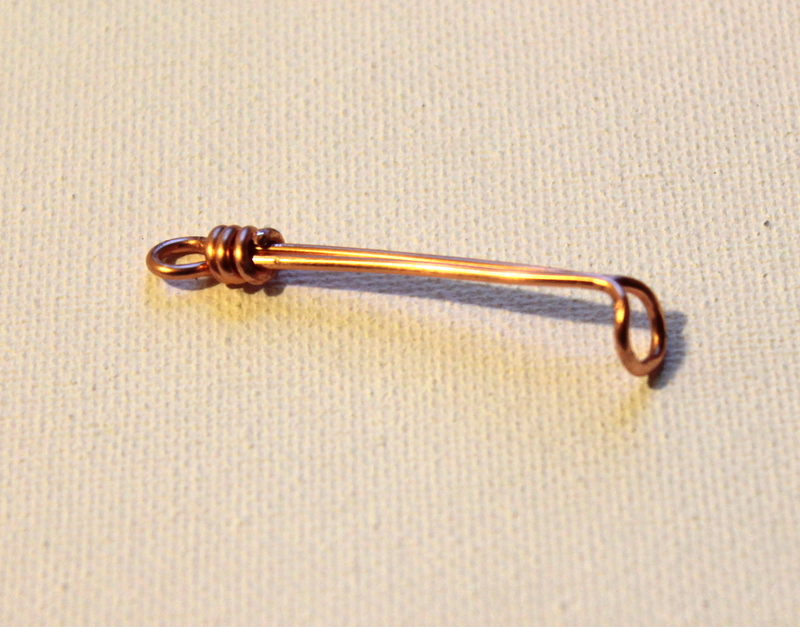 I used 18 gauge copper wire. 20 would work, too. 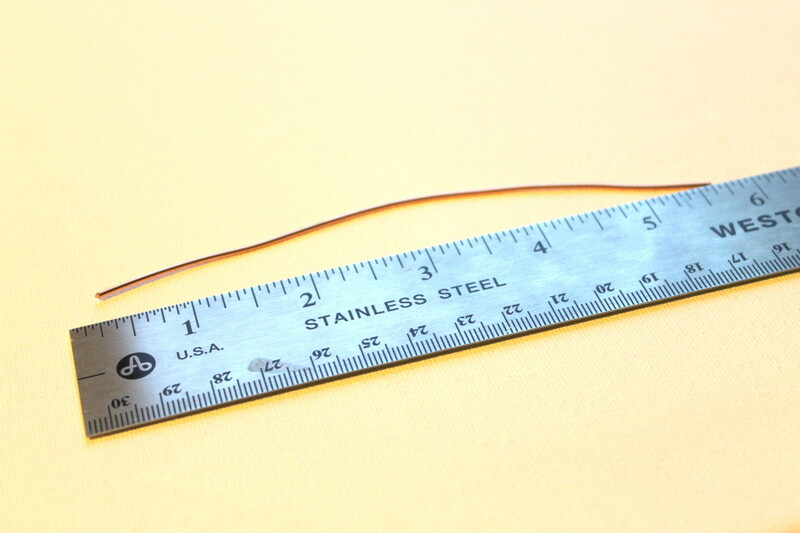 Cut about 5″ – 6″ of wire. 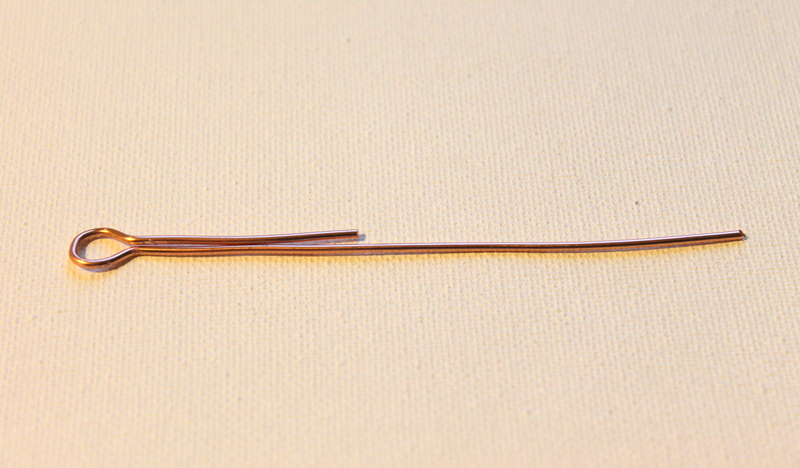 Bend the wire about 2″ from the end. 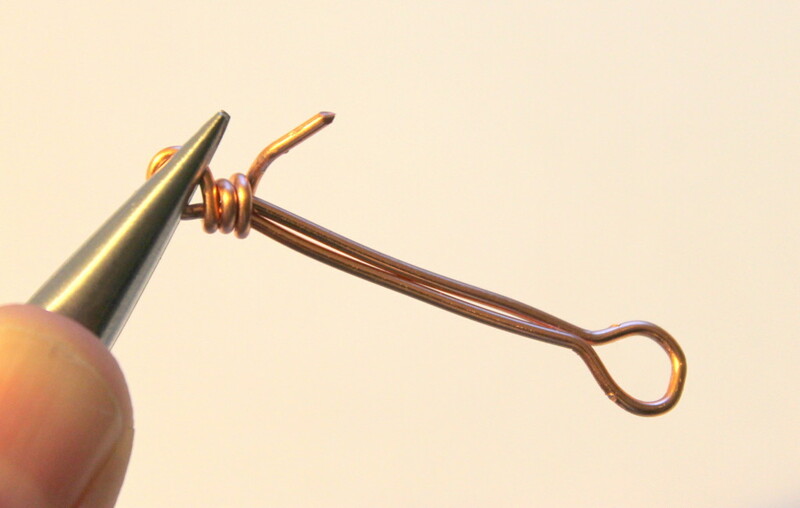 Grasp the bend in the wire with round nose pliers and start to wrap your wire around it. 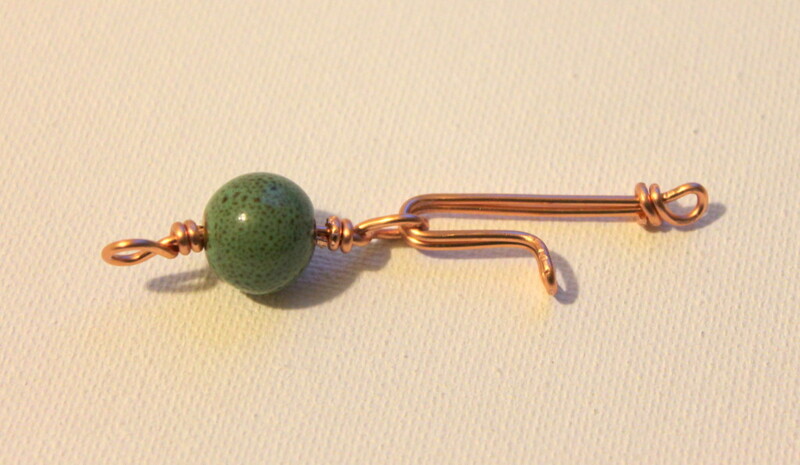 HINT: You do not want to make this loop too big or you will have problems hooking your clasp later. 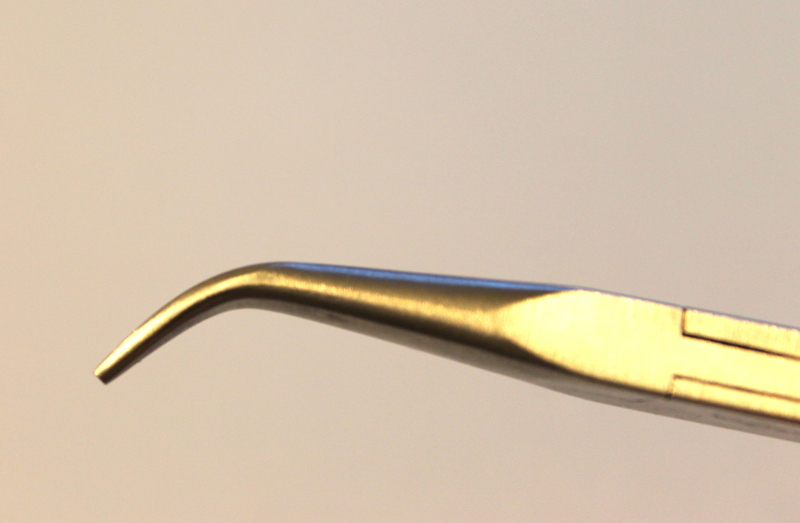 Although my photo shows the wire on the large end of the pliers, wrap around the smaller part, close to the tip. 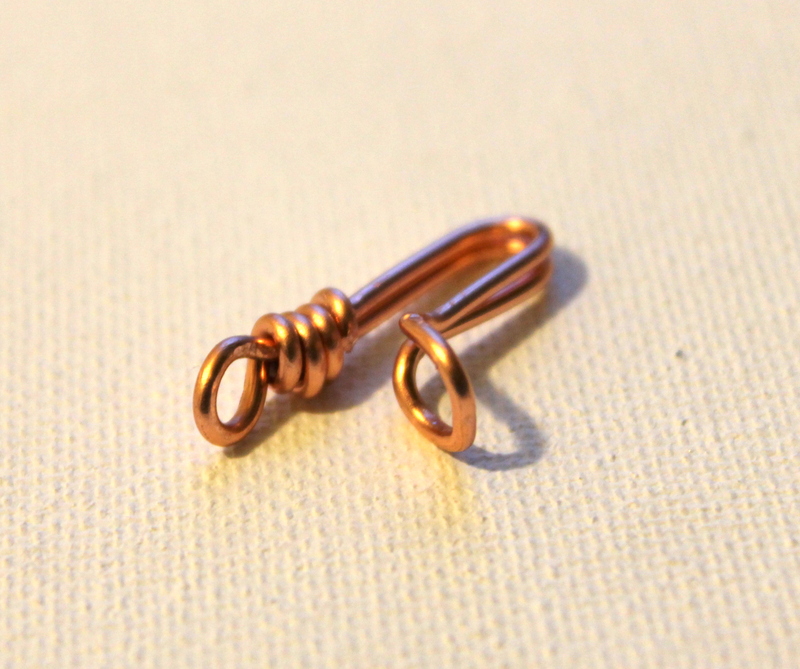 Continue the wrap and make a loop. 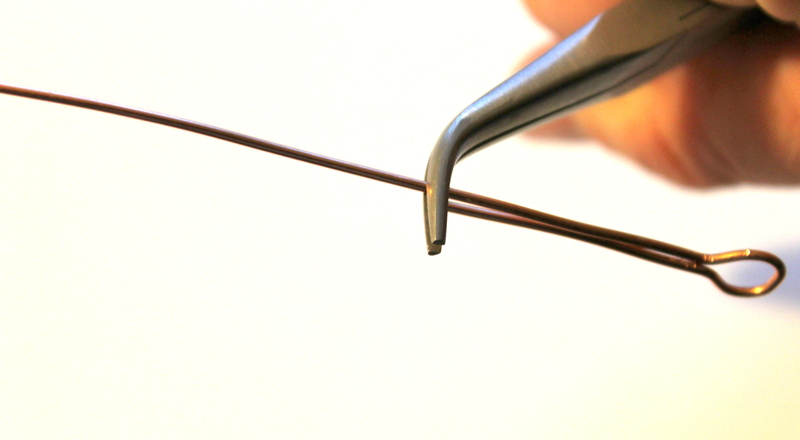 Pinch back the long end of the wire to make a loop. I missed a photo here, but you’ll see what I mean in the next photos. 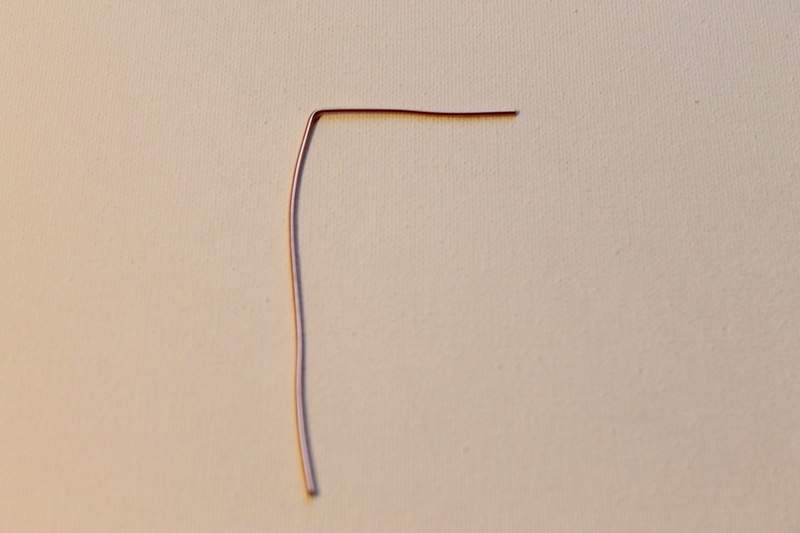 If you don’t do this, the loop will be off center. 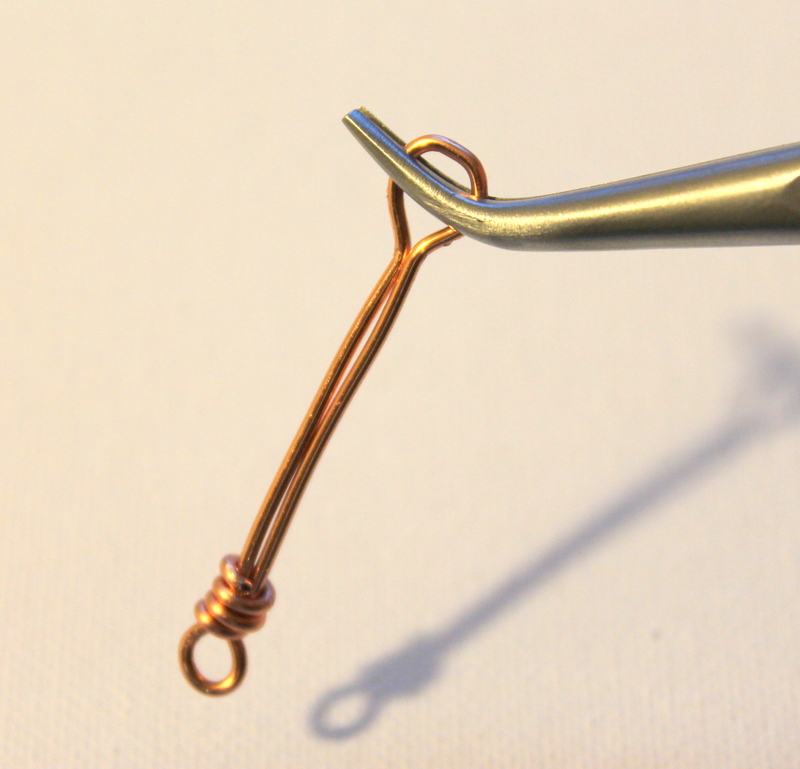 Using your bent nose pliers, pinch the wire until it’s back to being parallel again. This sounds confusing and it’s hard to describe, but when you try it, you will get it. 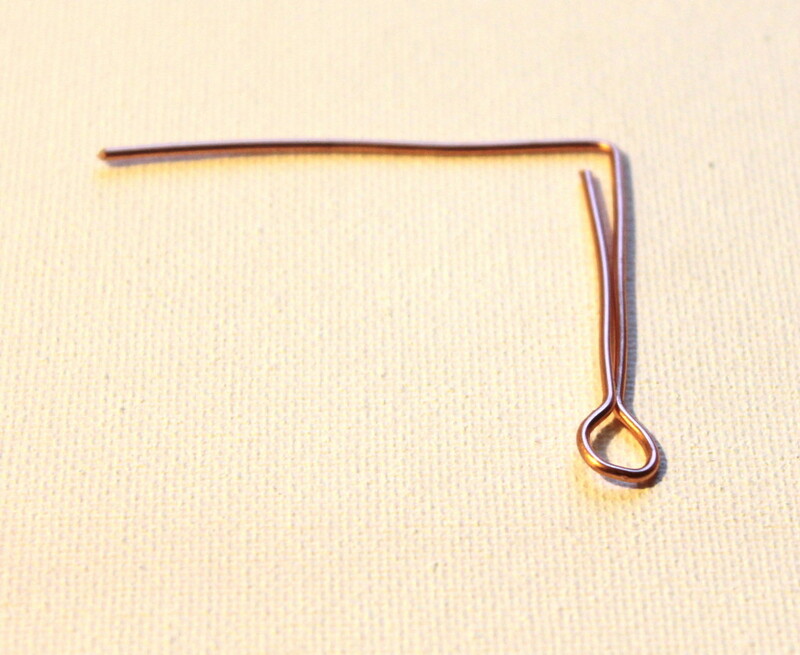 Grasp the long end of the wire with bend nose pliers and make a bend like shown in the photo. 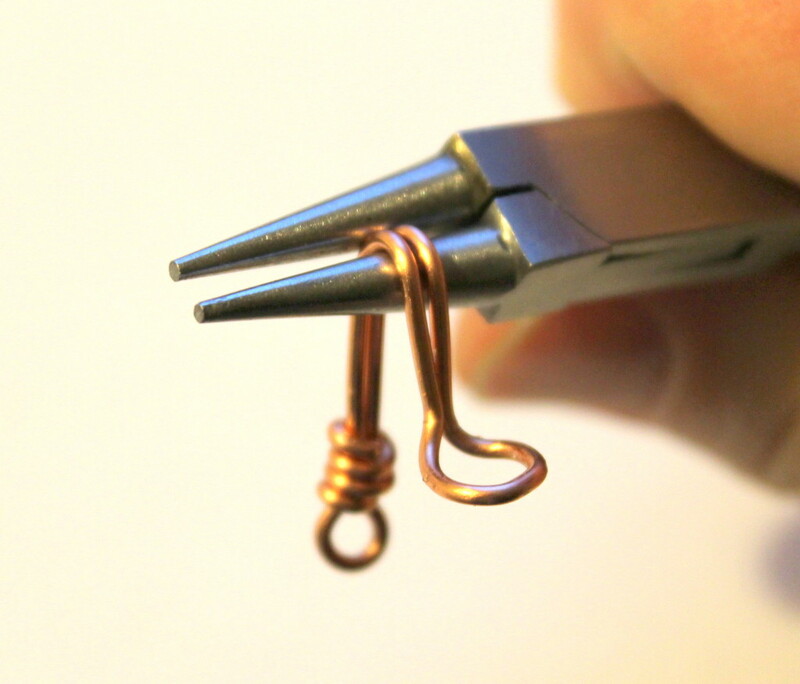 Using your round nose pliers, grasp the clasp in the bend and create a loop. Continue wrapping. 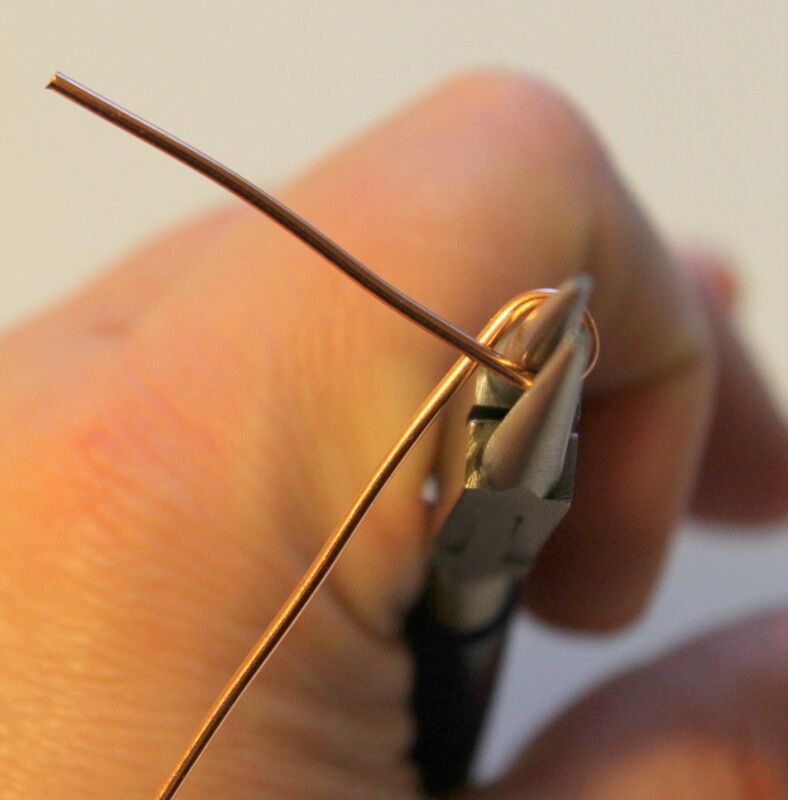 Go around at least 3 times and make sure that you are securely catching the loose end of the wire in the wrap. 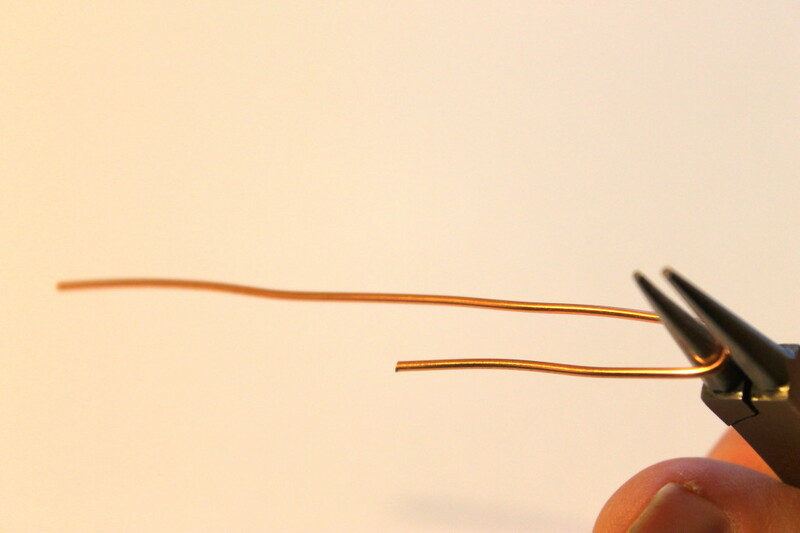 Trim any excess wire and make sure the end is pushed in. 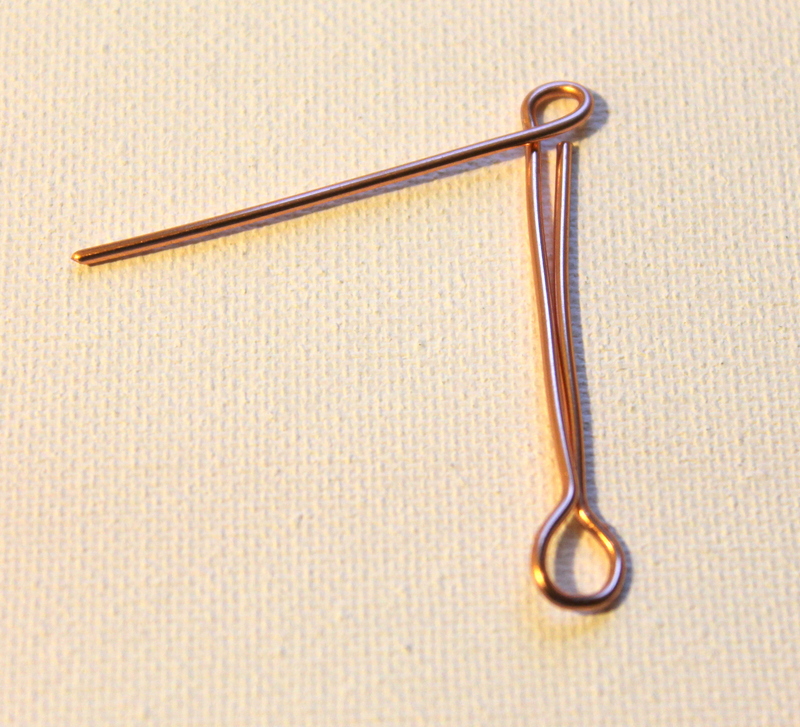 Grasp the first loop with bend nose pliers and bend it as seen in the photo. 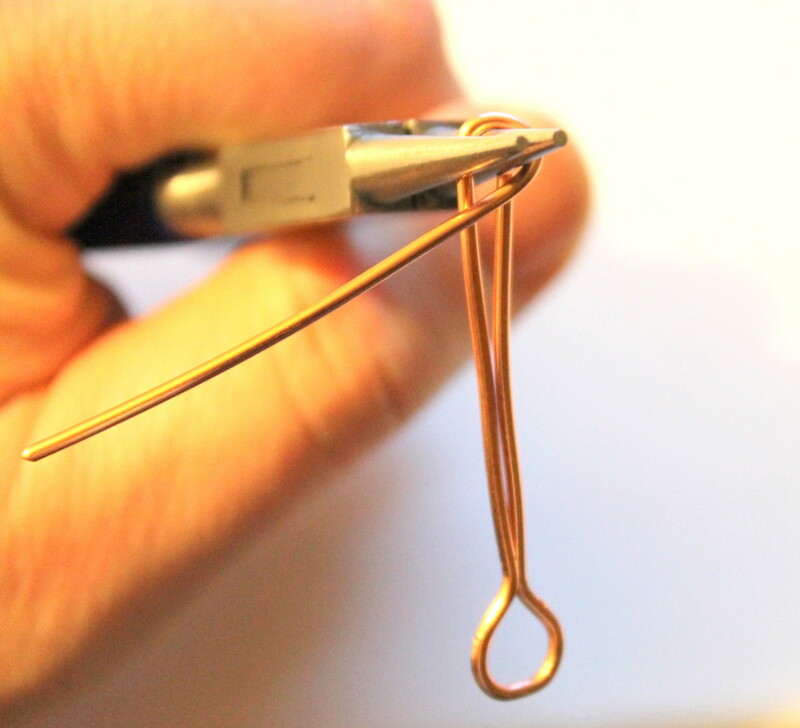 Using round nose pliers, bend the clasp. 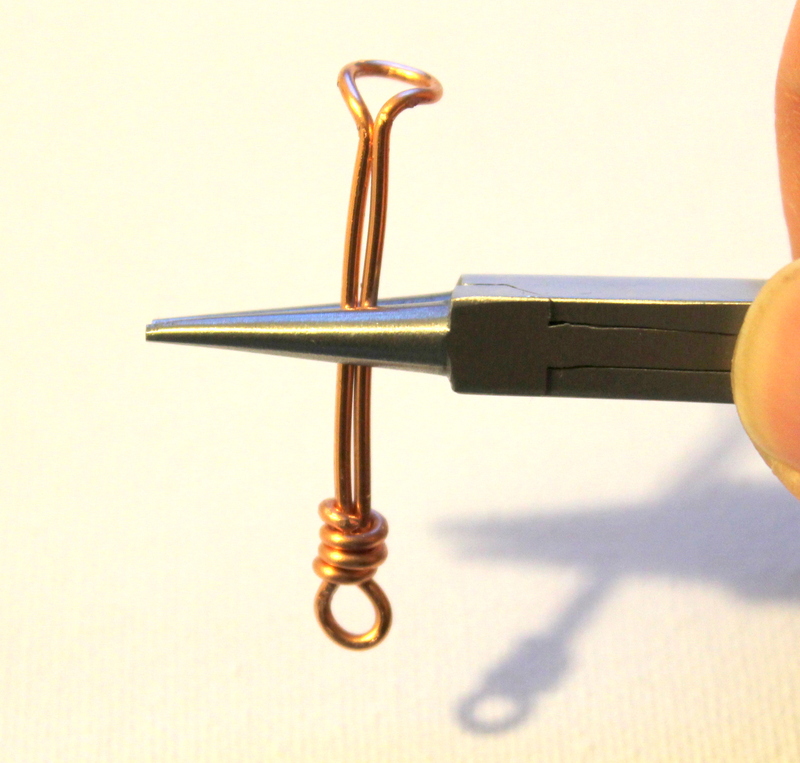 For the other side, this can hook into a jump ring or you can make a wire wrapped bead connector to hook it into. 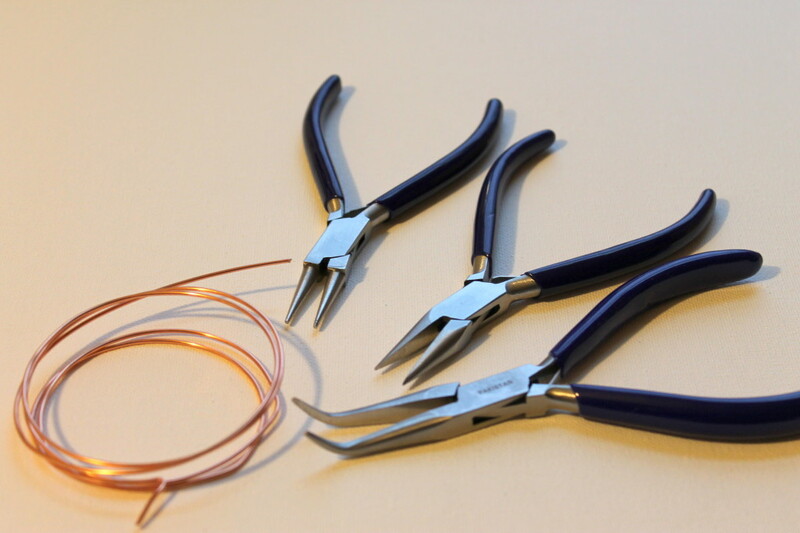 Are you a beginner to wire wrapping and want to get started with a solid background? 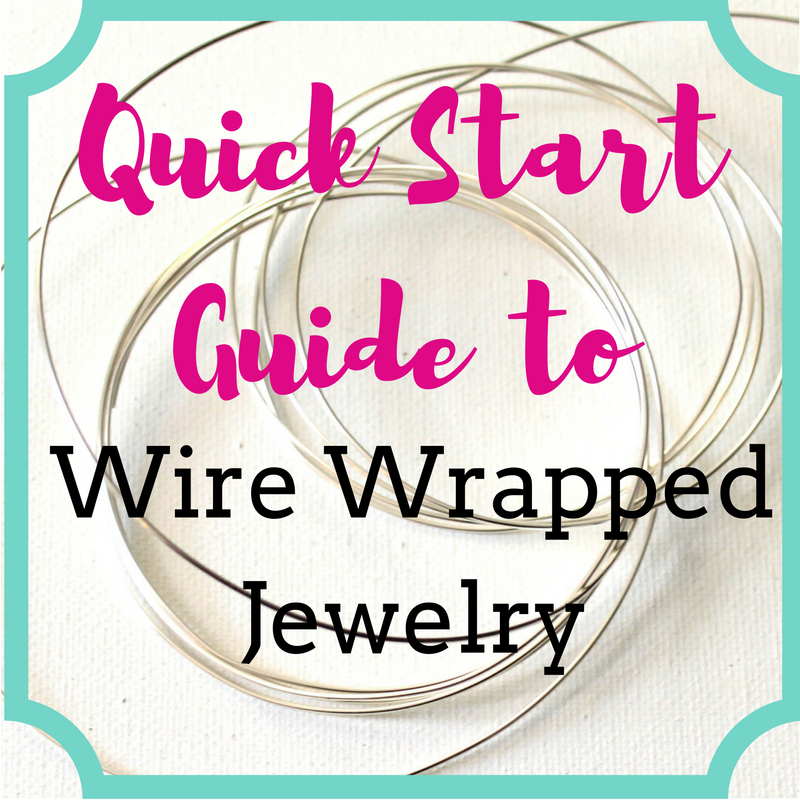 Check out my Quick Start Guide for Wire Wrapped Jewelry – a FREE 10 day eCourse to get you started. 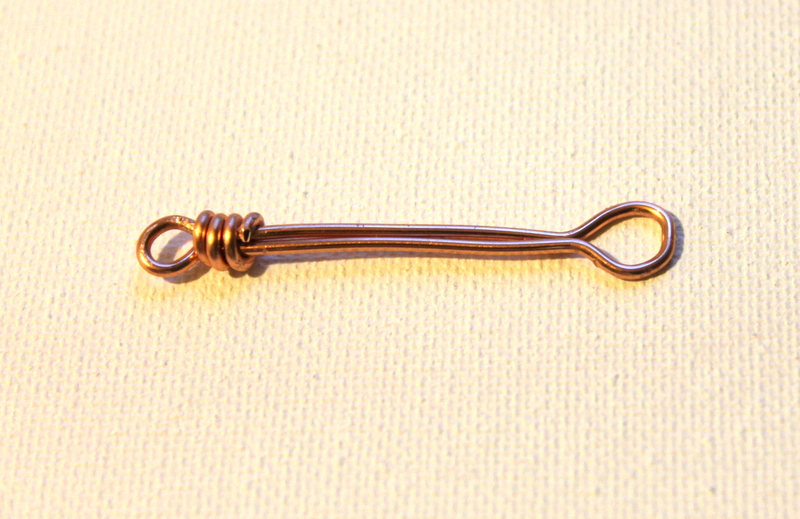 This entry was posted in Jewelry Making Techniques, Jewelry Tutorials by Kimberlie. Bookmark the permalink.